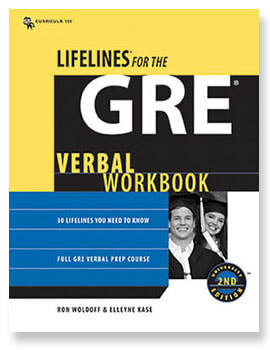 Students and instructors like the LifeLines for the GRE Math and Verbal Workbooks because they summarize everything the test taker needs into one simple package. "This class/program was by far the most helpful resource I could use in order to prepare for my GRE. Seriously your program is 10/10... 5 stars... two thumbs up!" Organization by Topic Modules always lets you know where you are in the curriculum which simplifies whole study process. This promotes confidence in achieving your professional goals while controlling your time and focus. Drill and Quiz solutions are fully illustrated and detailed step-by-step. They target advanced math skills to solve at the GRE level and provide immediate feedback on your work. The Vocab Section lists the most frequently used Vocab words on the exam. It starts with self-testing quizzes for the top 12, goes to the next top 30, then graduates to12 more quiz sets of 20-30 of the most frequently used. Students and instructors like the LifeLines for the GMAT Math and Verbal & Integrated Reasoning Workbooks because they summarize everything the test taker needs into one simple package. 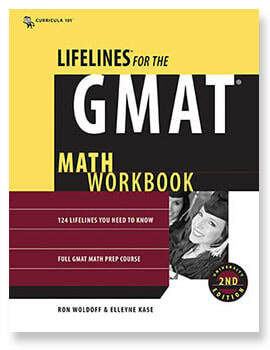 Every part of the LifeLines GMAT Math section of the exam is covered in 250+ questions. 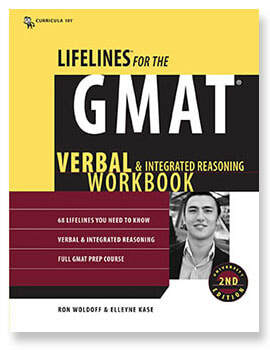 The GMAT Verbal & Integrated Reasoning sections of the exam are covered in 185+ questions. Exam Screenshots begin each verbal lesson. They demonstrate question types and answer formats you will see on the real test. Real LifeLines Quizzes are used to simulate the exam in the Screenshots. This prepares you for what to expect with these question types. The Integrated Reasoning Section targets six Integrated Reasoning question types which combine both math and verbal skills. Extensive use of Screenshots included in the quiz and solution flow of content prepares you for what to expect on the exam. Specific Integrated Reasoning skills not needed for the Verbal or Math section of the exam, but very useful for Integrated Reasoning are featured in this section. Quiz solutions are fully detailed and give you immediate feedback on your work.